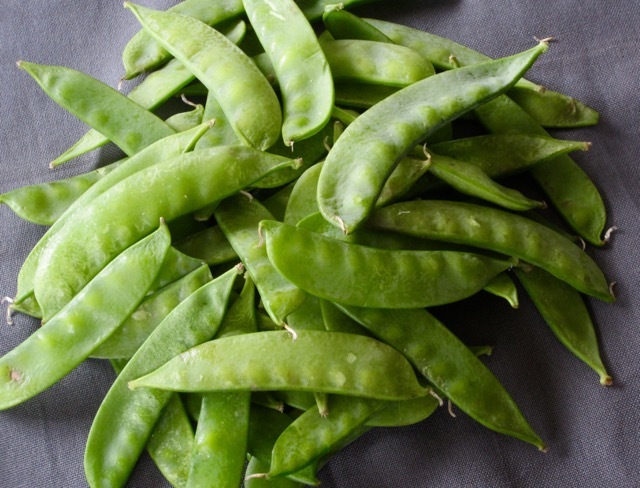 Also called Sugar Peas, Mangetout or Chinese Pea Pods. 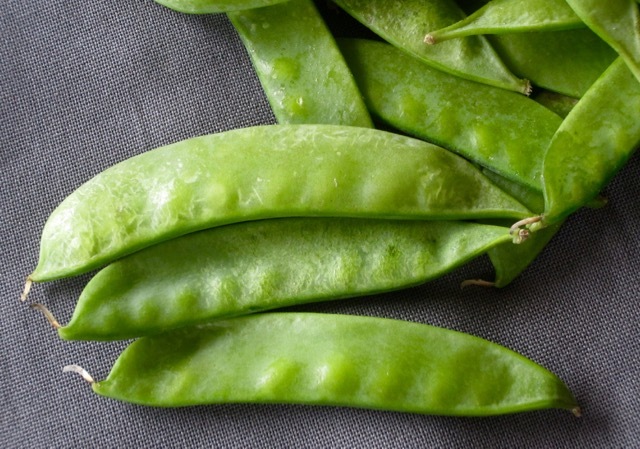 The snow pea (Pisum sativum var. saccharatum) is a variety of pea eaten whole in its pod while still immature. It can be eaten raw, or lightly cooked. 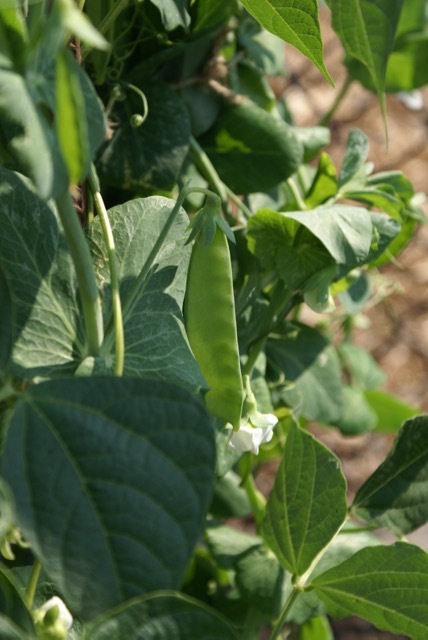 Snow peas have pale green flat pods with small immature looking peas. They are sold all year round. 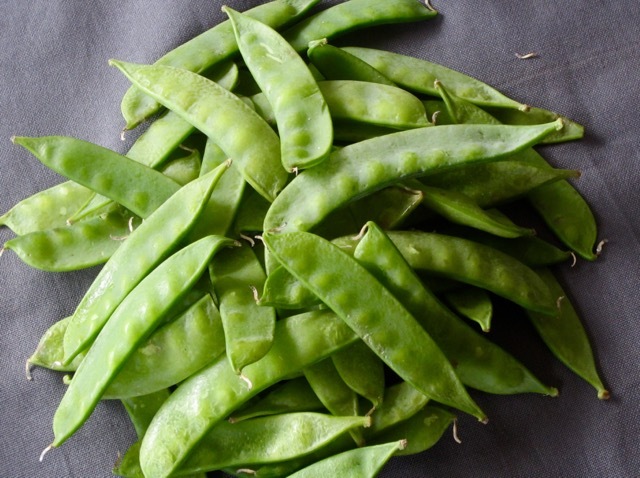 Sno peas are high in vitamin C. 100g (3.5oz) supplies 100% RDA of vitamin C.
They are popularly used in Chinese Stir Fries. To Prepare Sno Peas: both tips of the pod should cut off before cooking. Most cultivars do not require stringing unless you buy older ones which may require stringing. Snow peas are best eaten fresh. They should be displayed in the fridge section of the store. Fresh snow peas should be shiny and flat with barely visible tiny peas inside the pod. The smaller ones are sweeter and more tender than the older ones. 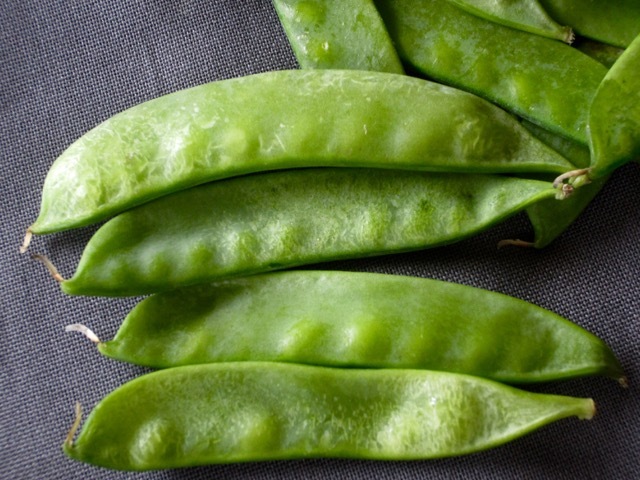 Snow peas can be stored in the fridge in a perforated bag, in the crisper, for 1-2 days. Do not over-store them otherwise they will turn brown and slimy. Whole peas split to produce: yellow split pea and Green Split pea. My grandfather used to grow them in our backyard when I was very young. Freshly picked and stir-fried they are amazing. Sorry I missed this comment. Sno peas are truly delicious. I love them in stir-fries!! !